It seems strange to describe an alcoholic beverage as pretty but this Japanese gin is exactly that. 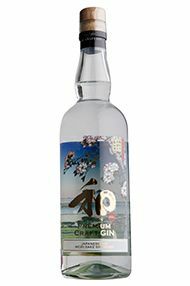 The floral, fruity aromas, which waft out of the glass match the stunning Hokusai-inspired bottle. The level of concentration is impressive and the flavours centre around pithy citrus fruits such as mandarin, grapefruit and orange with hints of blossom and jasmine. The liquid is distilled from Sake, which is a feat in itself and through tasting, one can trace certain elements back to the raw material. Wa Gin, elderflower tonic and a slice of grapefruit would make for a delicious cocktail.